For those of us who tried to warn the public that they were being swindled into buying tickets to an unfinished product with last year’s much anticipated Public Enemies (weak sound design, amateur framing, visuals that “looked like a wedding video” as my friend put it), the following offers some (belated) vindication. A source at the Edinburgh International Film Festival said that technical details plagued the production of Public Enemies, thanks to Michael Mann’s mistreatment of the crew and poor management skills. Crew members were financially and personally poorly treated and simple technological protocols (correct cables, lenses) were flouted. The results were disastrous: A production designer quit, Johnny Depp had Mann apologize to the crew for his behavior, and the studio spent “$20-30 million dollars” in post-production trying to save the film. Depp “hated Mann” for the way he ran the production. 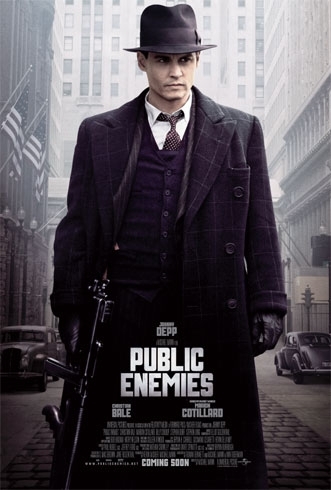 I’m a huge fan of Mann’s Heat and Collateral, but was dismayed by the poor production values of Public Enemies. Though the film came out a year ago, I think it’s important to know the history surrounding a production so as to understand a film’s successes or failures. There is the possibility that the person I spoke to could be some disgruntled crew member out to tarnish Mann’s image, but this person’s comments seem a reasonable explanation for the unusually bad quality of such a major Hollywood film.